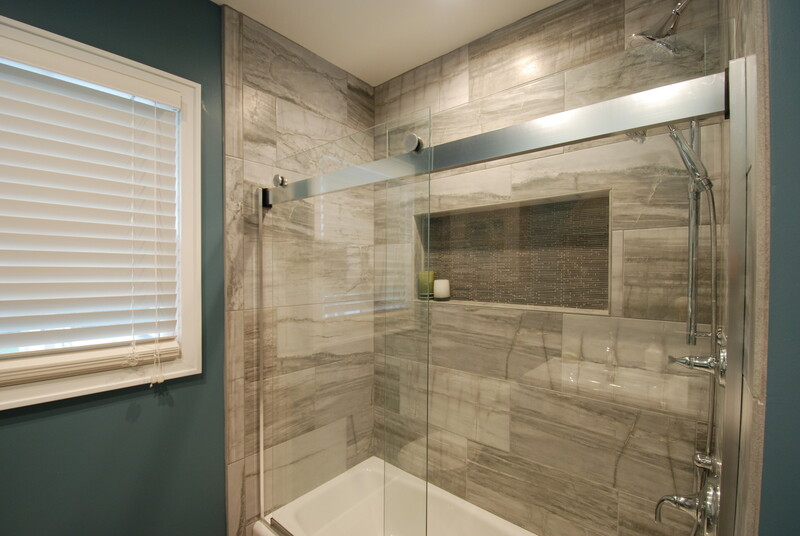 The large niche has enough space for everything someone would need in the shower. The back of the niche is basalt that’s cut into long, thin pieces or matchsticks – it adds some texture and visual interest to the large format tile. 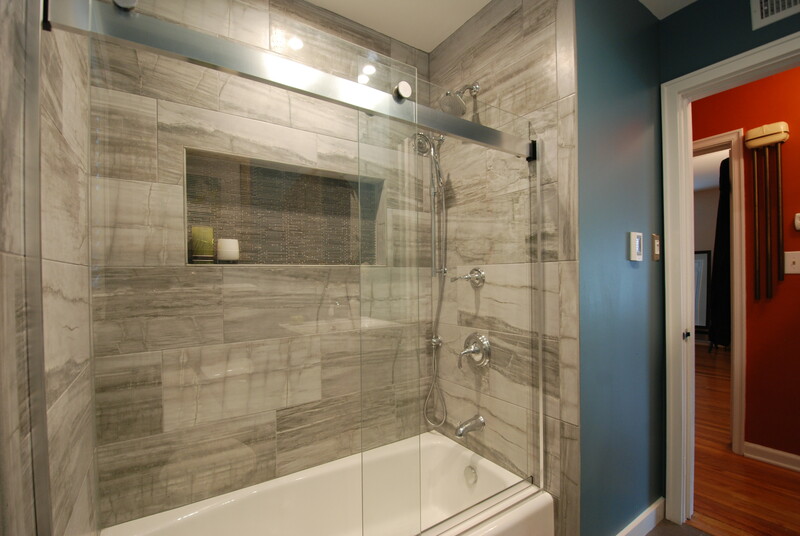 The finished bathroom – the glass shower door makes the room looks bigger. 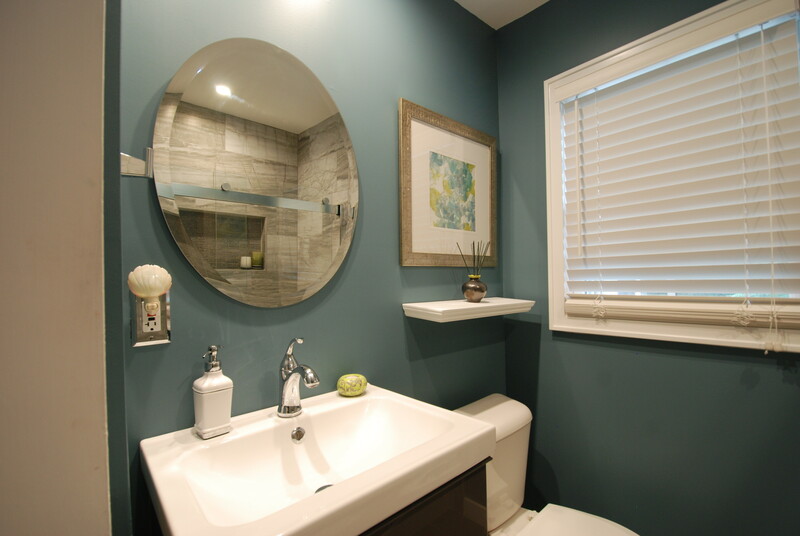 Just because a bathroom is small doesn’t mean there can’t be luxury. A heated floor makes getting out of the shower in the winter a much more pleasurable experience. 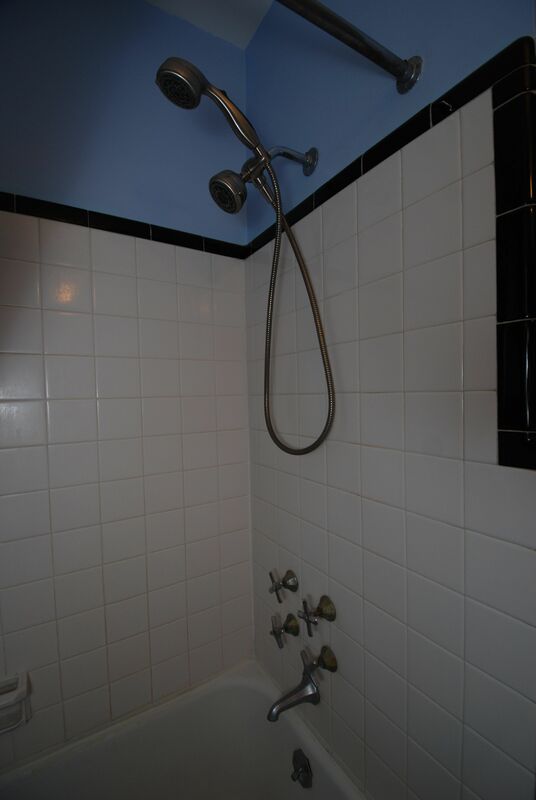 The old shower set had a stationary shower head and a handheld shower. 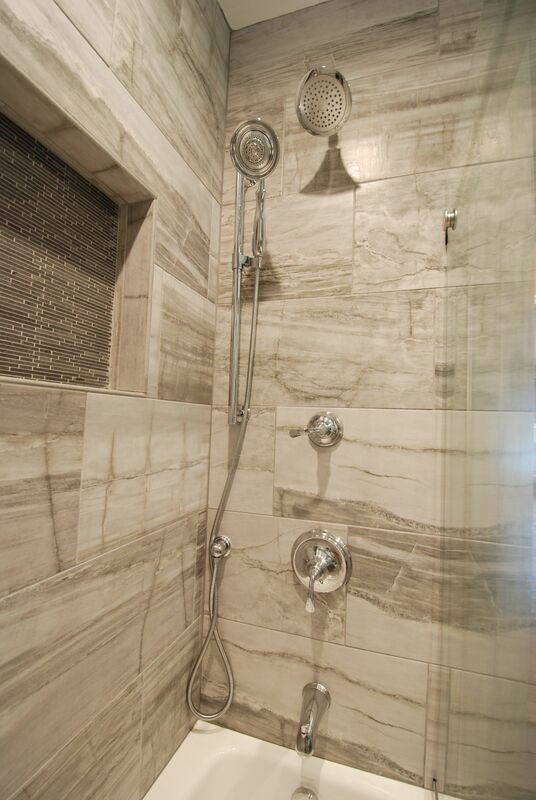 We kept that feature but added a sliding bar for the handheld shower, a separate wall outlet for a cleaner look, and a single control to allow the homeowner to select one or the other shower head – or both. 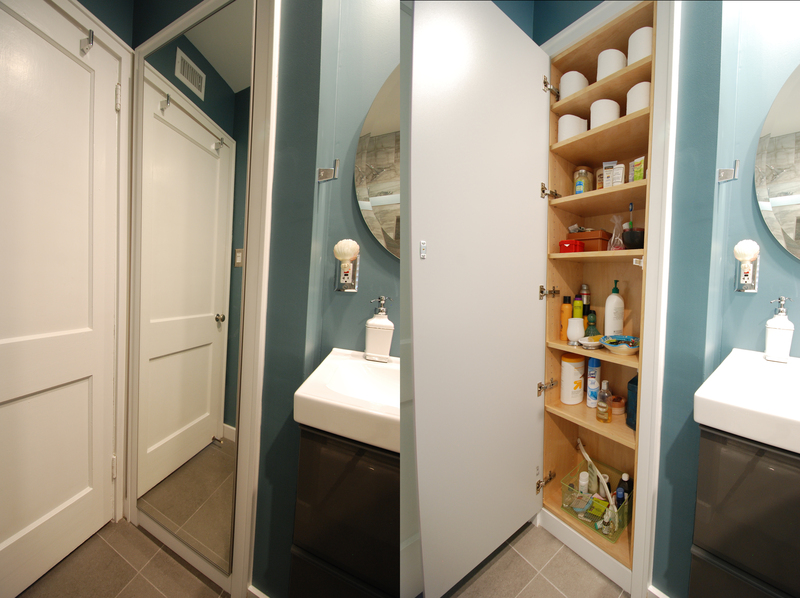 The integrated sink and small floating vanity gave the homeowner storage space that didn’t exist in the old bathroom. Now things like a hairdryer or tooth brush are within easy reach. The original bathroom had a small storage closet. We rebuilt it and added a full length mirror to the outside of the door. With the new closet were were able to add additional shelves creating even more storage space. 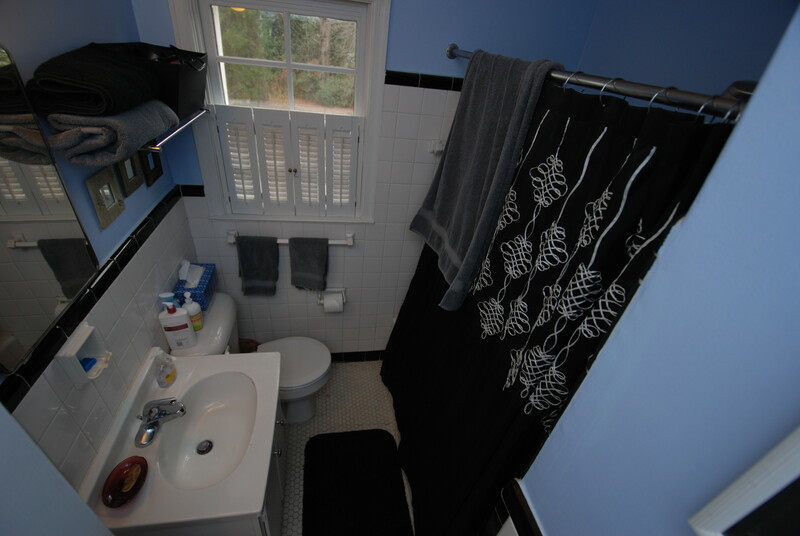 The original bathroom … the space is limited and there wasn’t much room to increase the size so the focus was on optimizing the room we had. The shower with the original separate handles for hot and cold water.